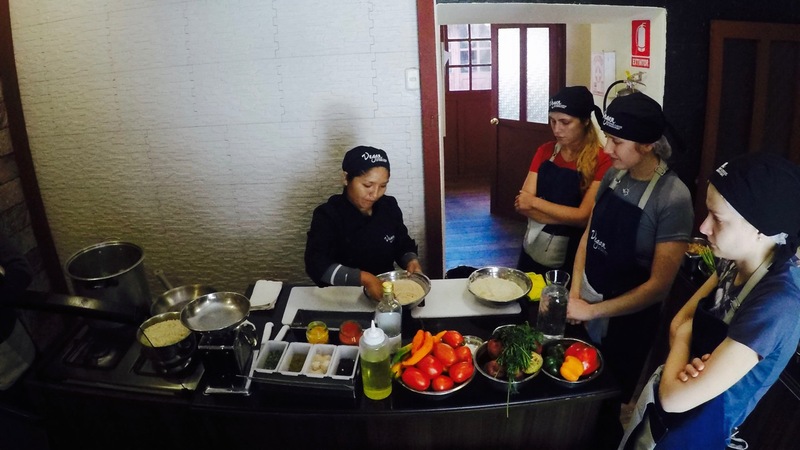 Discover the world of Vegan cooking with our Vegan Cooking Lessons Cusco. 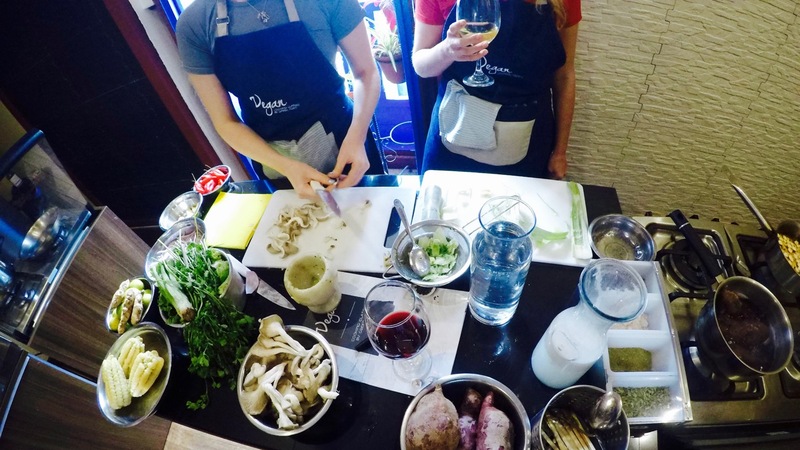 This class is perfect for vegans and vegetarians. 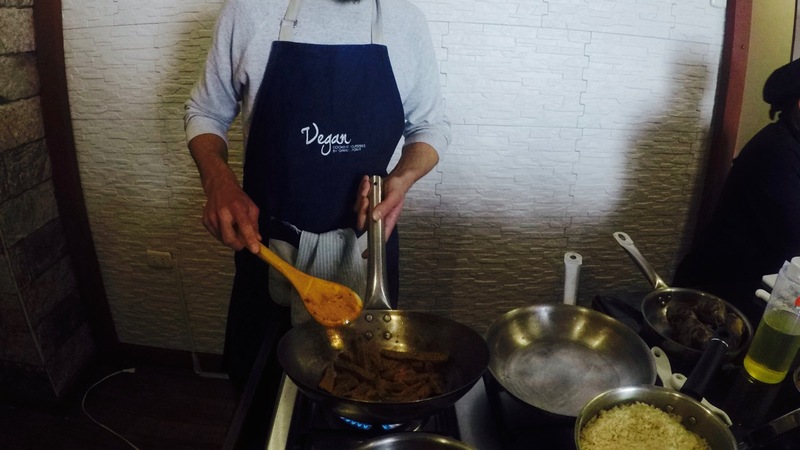 It’s also great for carnivores who want to open their eyes to meat-free recipes and discover the tastes you can create from only vegan ingredients. 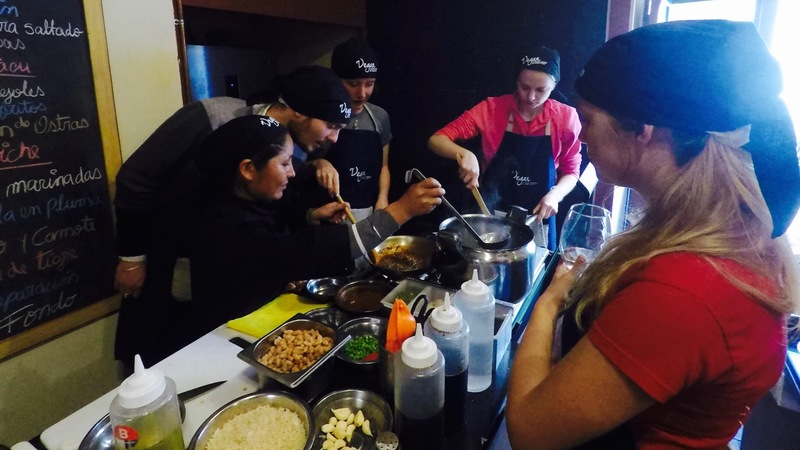 You will be taught by a professional Peruvian chef who will take you through each of the recipes step by step to ensure you can transfer the skills learnt into your own kitchen. 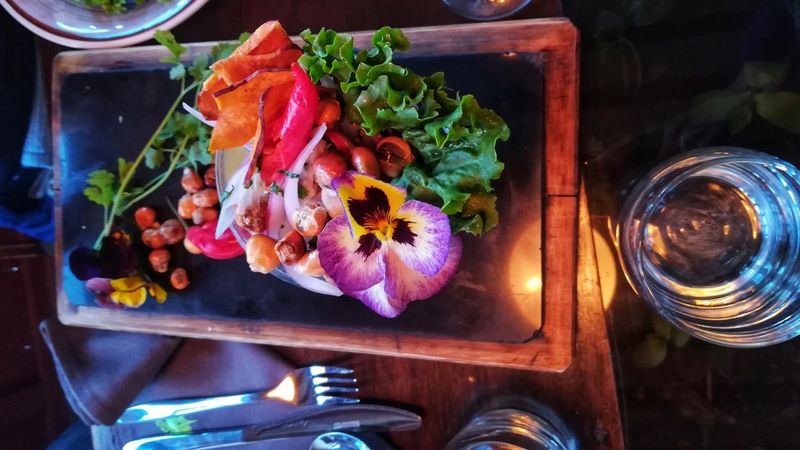 You will receive complimentary drinks throughout the experience and will be served your creations in a private dining room once you have finished. 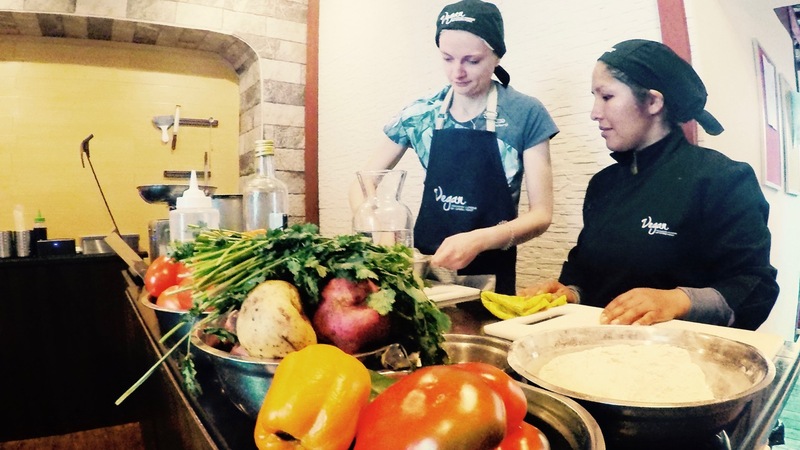 Click through to “Tour Plan” to see the full itinerary for the Vegan Cooking Lessons Cusco. 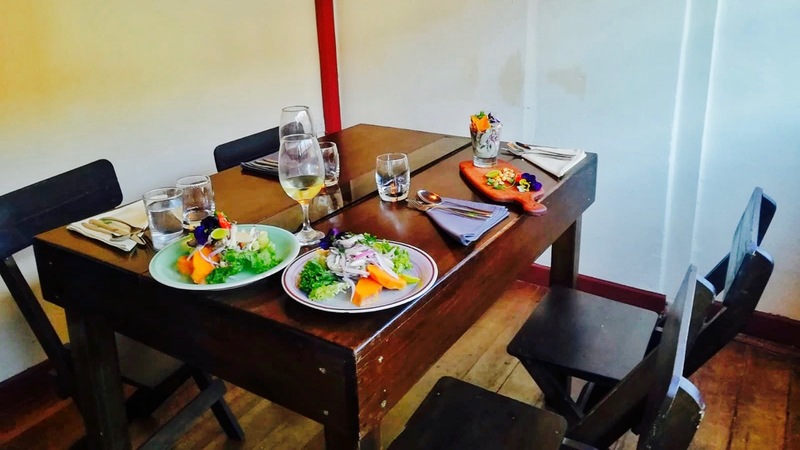 Vegan Restaurant: You will be picked up from your accommodation by private transfer. This will either be in the morning or afternoon, depending on which class you would like to attend. 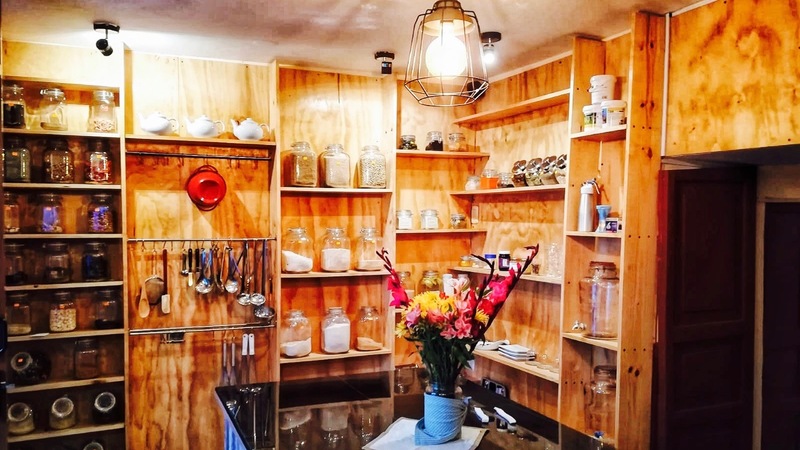 You will then be dropped off at local vegan restaurant where a member of staff will take you to the cooking classroom. This is a state of the art separate building across the road kitted out with new kitchens. 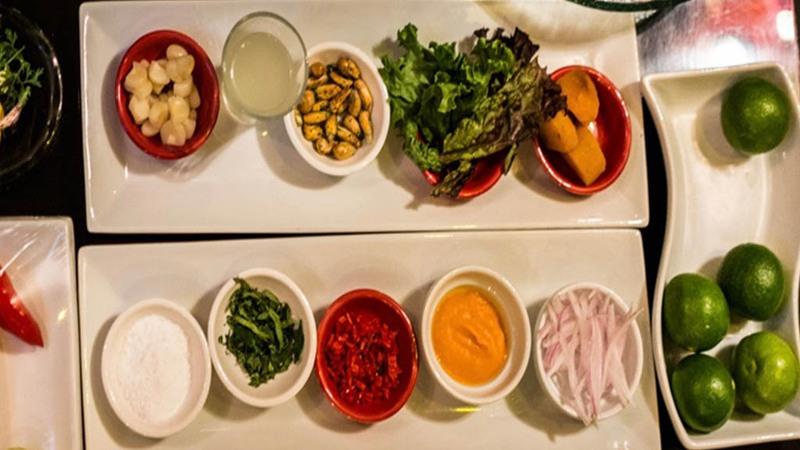 You will then make 3 different traditional Peruvian meals with a vegan take. 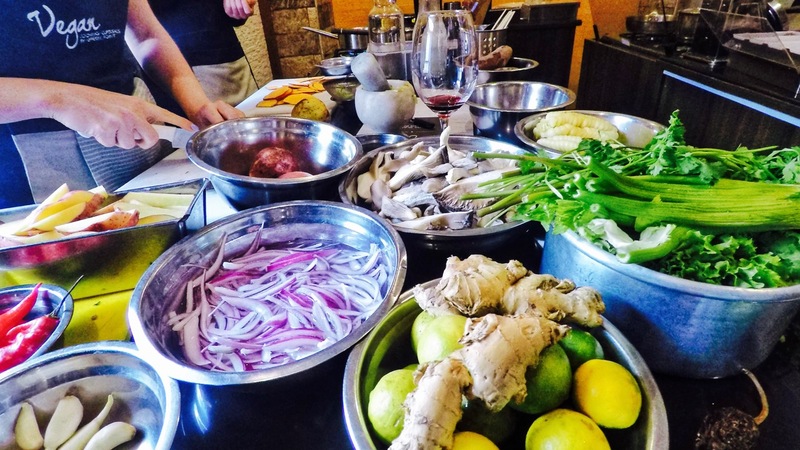 Throughout the process, you will have one to one mentoring from a professional Peruvian chef, who will teach you how to properly prepare each ingredient. You will also receive complimentary drinks of your choice such as wine or tea. 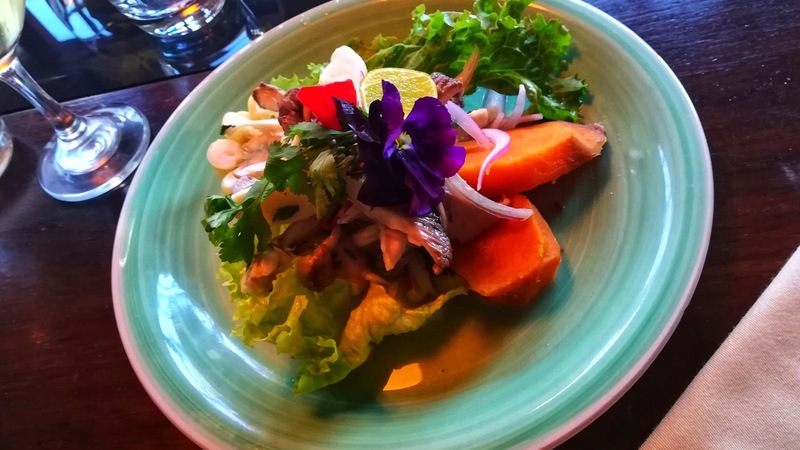 The three meals you will make are Ceviche, Tacu Tacu and Seitan stir fry. 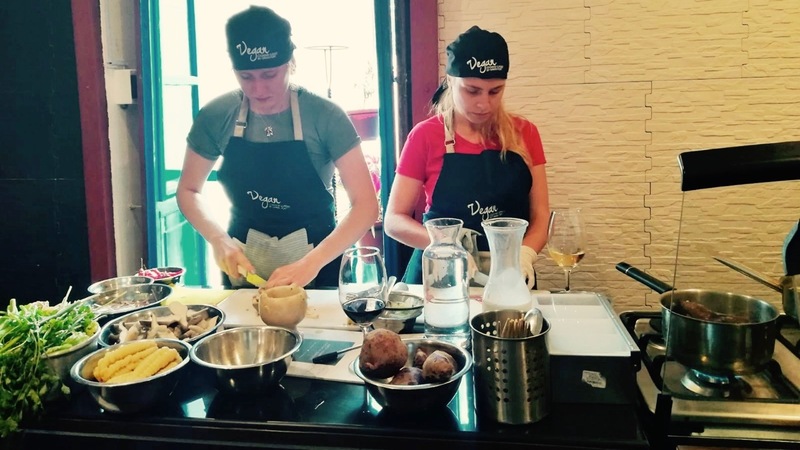 After you have completed your vegan cooking lessons you will enjoy all of your creations in a private dining room. 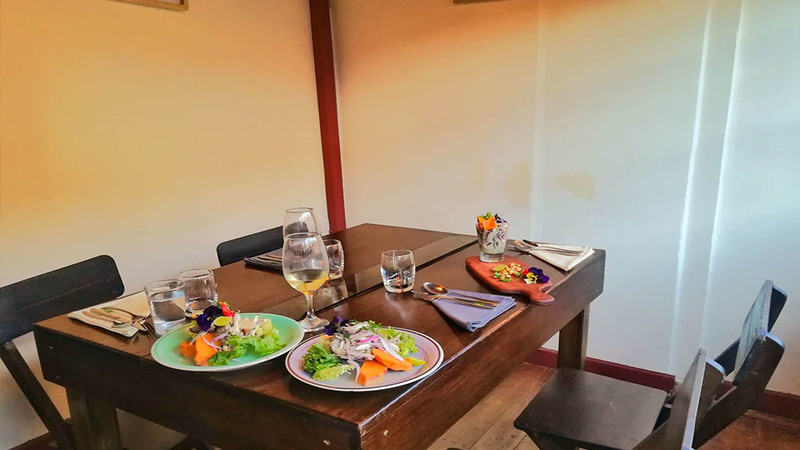 When you have finished your meal you will then be dropped back off at your accommodation by private transfer. You can take the recipes home with you to cook whenever you like. We recommend you book this tour at least 1 week in advance. If after your booking has been confirmed , you wish reschedule your trip to an alternate departure date , you may do so subject to availability.If the change is requested 30 days or more prior to the original trip departure , no change fees will be charged. Zero change fees also do not apply for Classic Inca trail 4 days or Inca Trail 2 days. Simply pay an initial deposit per person and pay the rest later. You don’t need to miss out – JUST BOOK NOW, PAY LATER! You will be picked up directly from your accommodation and dropped off at local vegan restaurant. 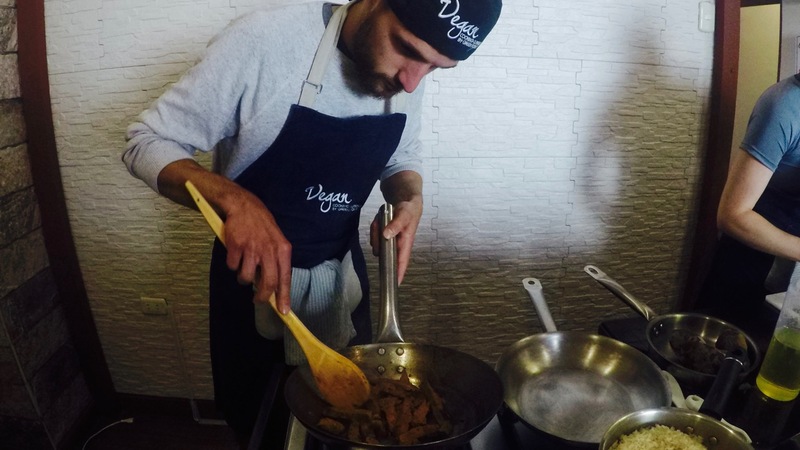 A member of staff will then take you across the road to their cooking classroom with state of the art new kitchen equipment. 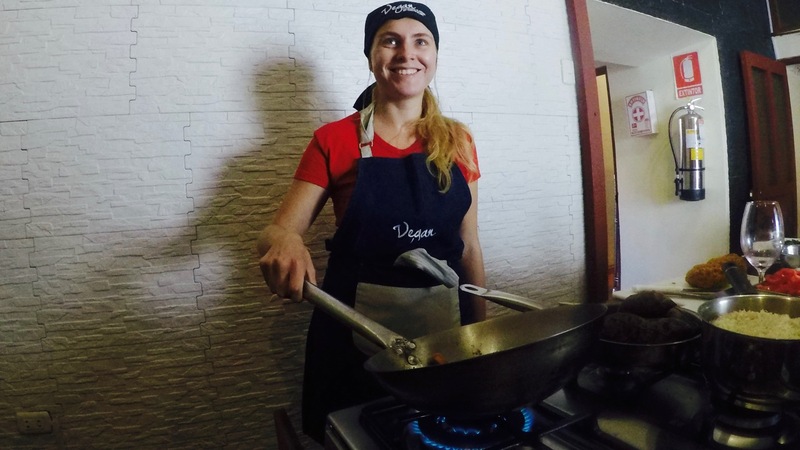 From here you will be given an apron, hair net and hat, all, of course, made from Vegan Materials. You will then be given your recipe pack, which includes all the food you are going to be making, and some spare paper to write down any notes. Entering the kitchen, you will first notice the array of different colorful ingredients set out onto three kitchen stations. Each station is for a different meal. 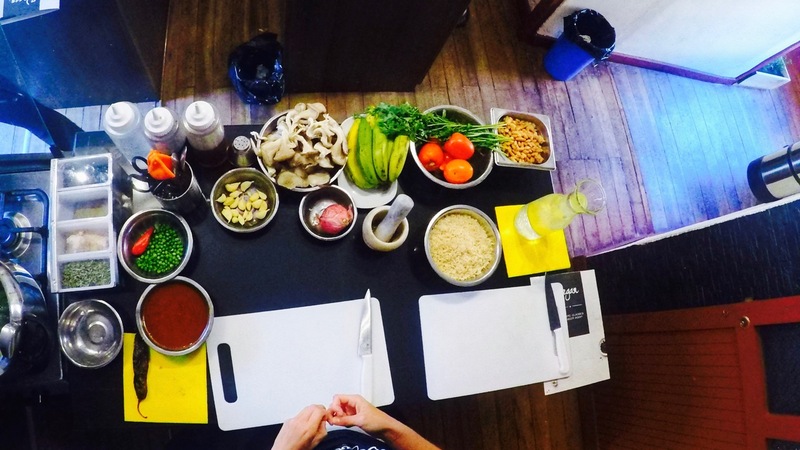 The first meal that will be prepared is Ceviche. 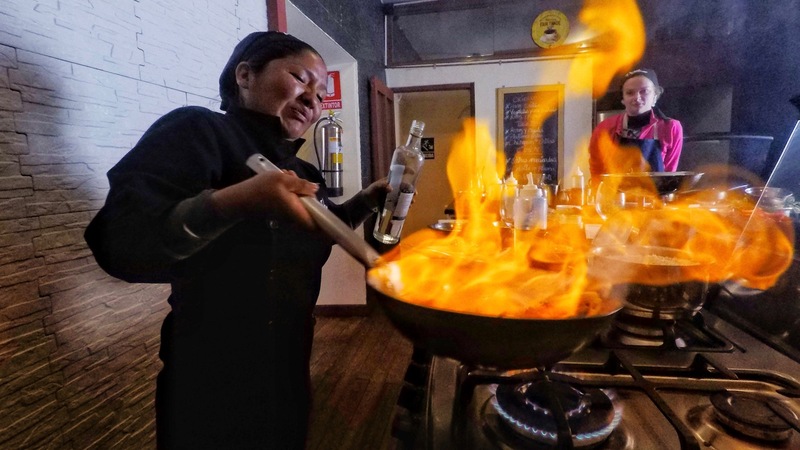 This is a traditional Peruvian dish that incorporates citrus juices and is spiced with chili peppers. 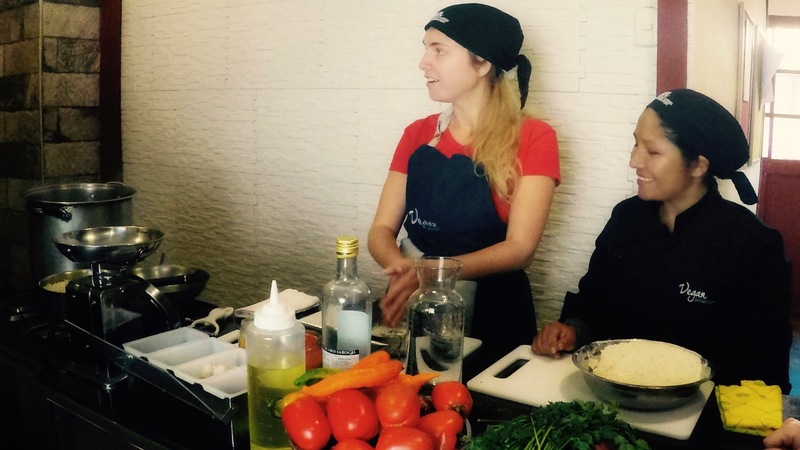 You will learn how to mix the citrus with other flavors to make the distinct ceviche taste. 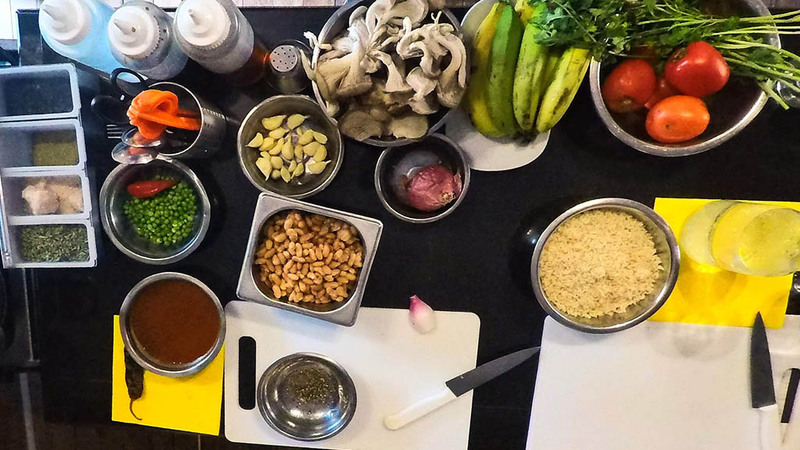 The second meal to prepare will be Tacu Tacu, this is a nutritious meal that incorporates beans and rice into a fried patty, served with marinated oyster mushrooms and a fried banana. 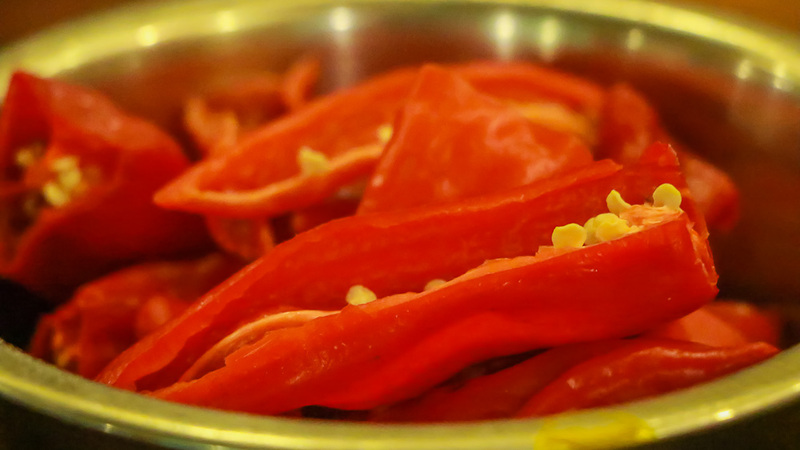 You won't be able to stop yourself from tasting this whilst it's cooking. 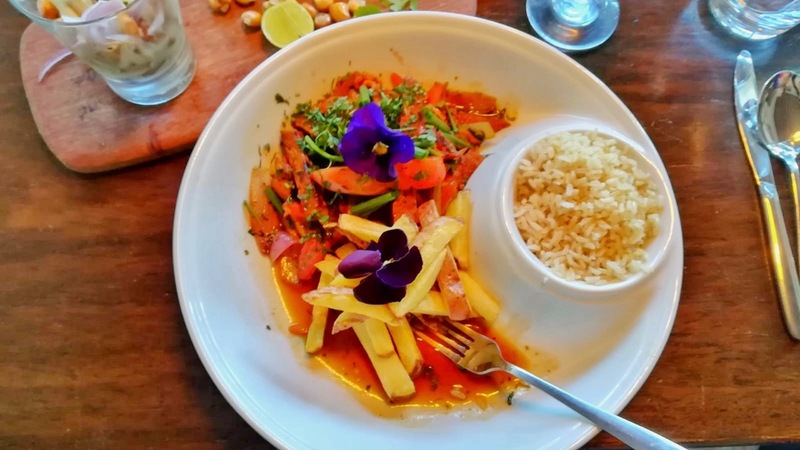 The third meal is a vegan take on another Peruvian traditional dish, Saltado. To substitute the meat you will make what is called Seitan. This is a dense Japanese style meat replacement, high in protein and made from gluten flour. 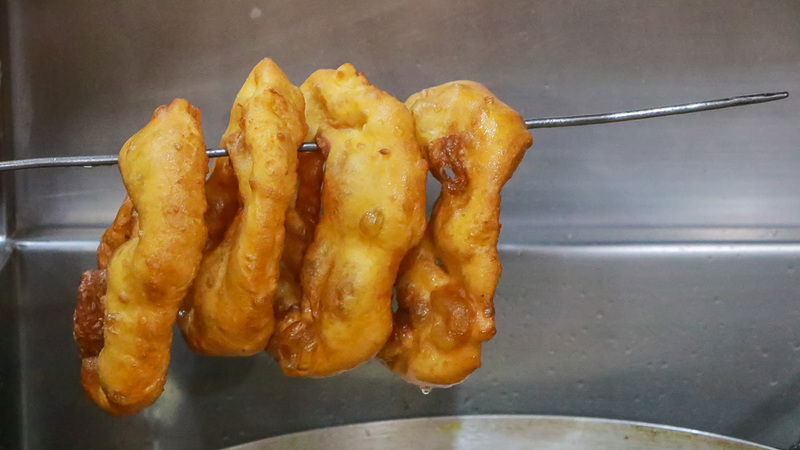 It has a thick meat-like texture one cooked. This will be fried with lots of vegetables and herbs and served with fried chips and rice.